1. Use a meat mallet to smash okra, starting at tip of pod and working toward stem end. Place buttermilk in a shallow dish, and place cornmeal in another shallow dish. 2. Stir desired amount of salt and pepper into buttermilk and cornmeal. Dip okra in buttermilk; dredge in cornmeal, shaking off excess. 3. Pour oil to a depth of 2 inches into a large Dutch oven; heat to 350°. Fry okra, in batches, 2 to 3 minutes or until brown and crisp, turning once. 4. Remove okra, using a slotted spoon; drain on paper towels. Add salt and pepper to taste; serve. 1. Scoop out the mango fruit and place in a food processor, blender or large chopper. 2. Add all other ingredients but avoid over-processing, or it could be too runny. If you prefer chunks of mango in your sauce, pulse to create the sauce until you're satisfied with the consistency. 3. Do a taste-test. 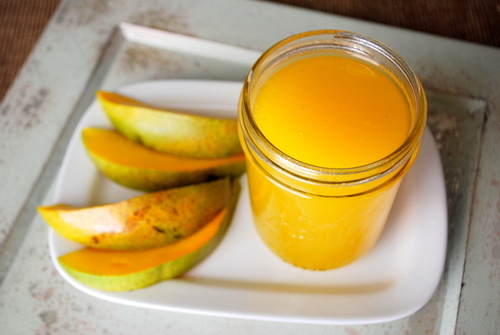 Depending on the ripeness and sweetness of your mango, you may have to add a little more sugar. Add more fish sauce for more flavor, or more chili for more spice. 4. Use as a marinade or sauce for chicken, pork, fish or seafood. You can also serve as a dip for nearly any finger food. 1. In a small bowl, whisk the ingredients (except the croutons and eggs). 2. Place romaine in a large bowl. 3. Drizzle with dressing and toss to coat. 4. Serve with salad croutons, sliced eggs and additional cheese if desired. 1. Mix sugar, salt, pepper, oil, soy sauce, oyster sauce and garlic in a mixing bowl, add meat and coat thoroughly. Marinate 30 to 60 minutes. 2. Mix salt, sugar, pepper and garlic in small bowls (pepper sauce for each person). 3. Add oil to a wok, sauté onions until brown and add chicken, stir fry about minutes, until done. 4. Mix in chili sauce as desired. Prepare serving plates with rice and a bed of lettuce. Just before serving, squeeze the juice of 1/2 lime into the pepper sauce and stir lightly.